The second Wicked Word Wednesday fared much better than the first; thanks to all for the feedback to make this possible. 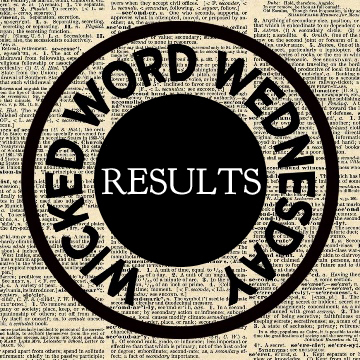 Congratulations to the winners of this week’s Wicked Word Wednesday challenge! The Wicked Word was contrary, and there were some wonderful entries. 2. perversely inclined to disagree or to do the opposite of what is expected or desired. Despite no longer having parts of my head shaved (or brightly dyed) or body piercings, I still maintain my contrarian status. Sheep are stupid, don’t be a sheep. ‘Twill be a wonder if you survive. We have a tie for second place! Congratulations . . .
Container gardening might seem a contrary way to grow edible plants, but we live in the woods and moose are contrary creatures who like to snack and don’t like to share. Contrary to popular belief, Mary Quite Contrary wasn’t being difficult – she was just being herself. Don’t be contrary – just do it my way. Contrary, often with a negative connotation, actually just means someone has a different opinion. What’s wrong with that? Congratulations to all our winners, you’ve earned the right to use a Wicked Word Wednesday Place Badge! Thank you once again for participating; don’t forget to come back next Wednesday for another Wicked Word . . . and bring a friend! This is a fun read. Thanks for your creative idea.